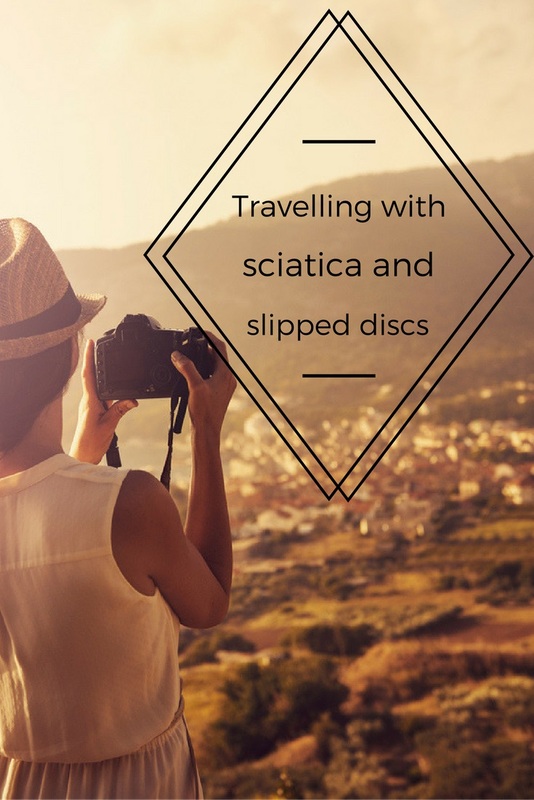 Always check with your doctor that you are safe to travel before booking a holiday if you have sciatic nerve damage. Take extra medication in case you are delayed. Let the airline company know in advance if you need any assistance at the airport. Invest in specialist medical cover for your sciatica. Don’t over pack your suitcase, especially if you are travelling alone and have to carry it yourself. Also, opt for a suitcase with wheels so you don’t strain yourself unnecessarily. Bring hot and/or cold compression packs to help relieve sciatica symptoms while away. These are available from most pharmacies. If you are travelling to the EEA or Switzerland, it’s a requirement with Staysure that you get a European Health Insurance Card (EHIC). This gives you free or reduced cost emergency medical treatment only – it doesn’t cover the cost of being flown back to the UK if necessary. You can apply online here or call 0300 3301350. Can you fly with sciatica? If flying, try to get an aisle seat as you will have more room to stretch. Pay attention to your posture while seated and try to avoid sleeping as you could well wake up in an uncomfortable position which aggravates your sciatic nerve pain. During a flight, wear comfortable clothing that allows you to move freely. While flying, try to stand up and stretch every hour or so as this can help reduce your sciatica pain. Consider bringing soothing music to listen to – it may distract you on a long journey. Remember to maintain any exercise regimes you have been advised to do by your doctor. Drink plenty of water if flying, especially if you are taking painkillers because at high altitudes you can get dehydrated easily. Avoid tea, coffee and alcohol as these dehydrate you further. These tips are non-advisory and are meant as a general guide to avoiding problems when you go on holiday with sciatica. For professional advice, please consult your doctor.